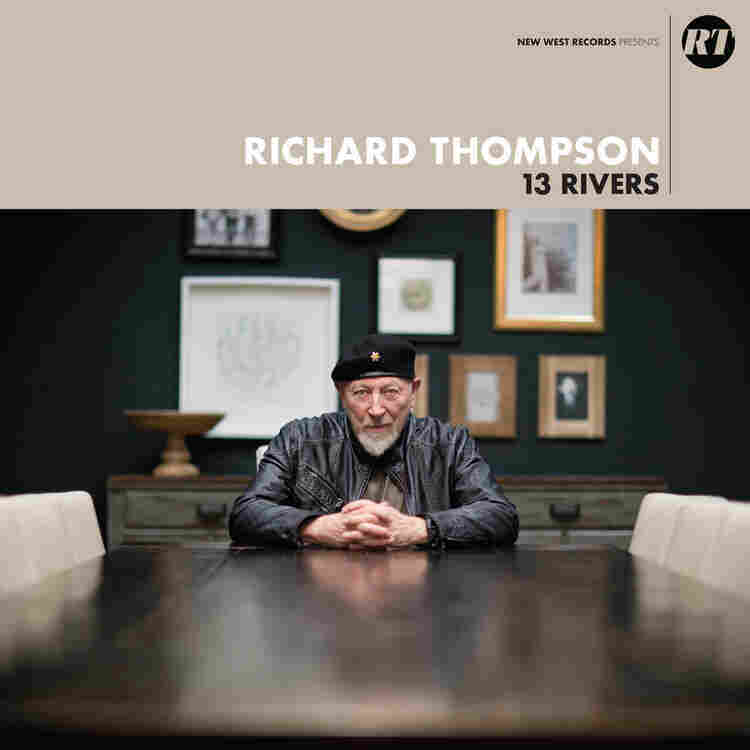 Richard Thompson Navigates '13 Rivers' Of Love And Loathing Richard Thompson struggles with his emotional demons by creating some of his most searing and soaring guitar work. Richard Thompson's 13 Rivers comes out Sept. 14. 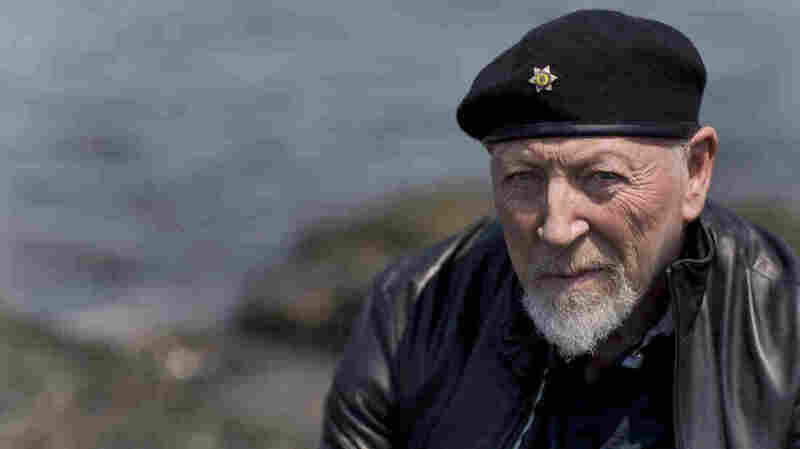 British singer, songwriter and guitarist Richard Thompson is a highly decorated musician in the history of British folk and rock. He may not have the populist appeal of Eric Clapton or Jimmy Page, yet Thompson nonetheless has, over the years, recorded his share of dazzling guitar solos and incredible story songs. His influence looms large on a diverse lot of musicians, from Bonnie Raitt and Robert Plant to Los Lobos and Elvis Costello to Dinosaur Jr., R.E.M. and Yo La Tengo. Thompson has created a standout body of work, from his time with Fairport Convention in the late '60s, through the records he made with his wife Linda Thompson, to his long acclaimed solo career. His solo albums Hand of Kindness, Rumour and Sigh and Mock Tudor remain high points of his career and fan favorites. Thompson's new album, 13 Rivers, continues to showcase his guitar playing brilliance and features a stellar band: drummer Michael Jerome, bassist Taras Prodaniuk, guitarist Bobby Eichorn, and harmony vocals by Siobhan Meyer Kennedy, Judith Owen and Zara Phillips. Self-produced and recorded in Los Angeles at Boulevard Recording Studio, 13 Rivers has 13 songs. "Each song is like a river," Thompson explains in his bio. "Some flow faster than others. Some follow a slow and winding current. They all culminate on this one body of work." Who's going to save you from the Rattle Within? Throughout 13 Rivers, Thompson struggles with his emotional demons. On songs like "Her Love Was Meant For Me" (which has a musical cadence with Joe Walsh's "Rocky Mountain Way"), "Do All These Tears Belong To You?" and "You Can't Reach Me," he expresses the full range of woe. Lyrically, he's moody and mad as hell, yet often conflicted by love. On "O Cinderella," "No Matter" (featuring Judith Owen on harmony vocals) and "Pride," three of Thompson's 13 rivers of love and loathing collide in classic Thompson songwriting form. Thompson's fans often say that while his records are superb, they are really just calling cards for his live shows. The live show is always spectacular, and on 13 Rivers, Thompson more than manages to bring that live energy and those searing and soaring guitar solos to life in the studio, with an ace band, his commanding voice and eloquent storytelling.